I have just been watching Royal Academy Summer Exhibition: The Culture Show on BBC2. The largest open-submission contemporary art show in the world. I must really try to get down there sometime this summer. One exhibit really stood out, but not in a good way. 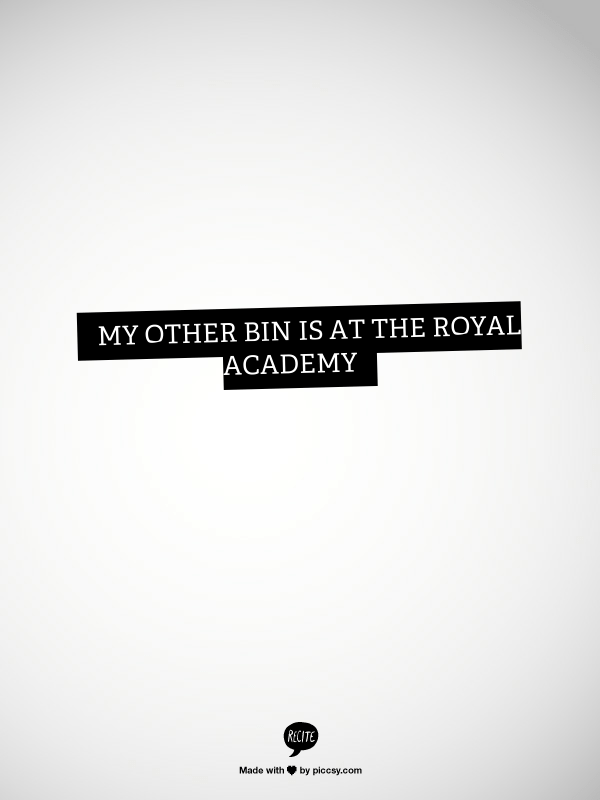 Self portrait as Rubbish Bin by Michael Landy is just that, a rubbish bin. O.K. it is made out of bronze but how is it art? Apart from the title, which is apt and a recurring theme in his art, there seems to be no other artistic input from him. He just sent a rubbish bin to a Chinese foundry and said copy that. The price: a cool £26,000 , but I am sure some poor misguided fool will buy it. Maybe the real designer of the bin should get a cut.